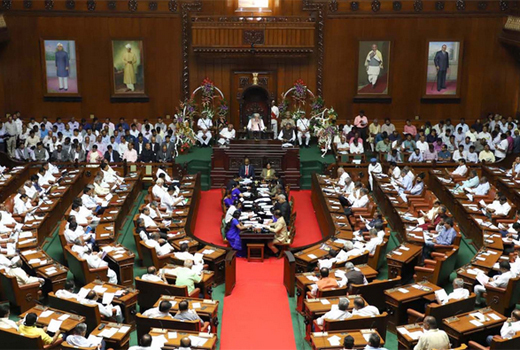 Mangaluru, July 05, 2018: The maiden budget presented by Chief Minister HD Kumaraswamy on June 5, Thursday has not pleased the BJP legislators from Dakshina Kannada and Udupi districts. The legislators including Mangaluru South MLA Vedavyas Kamath, Karkala MLA Sunil Kumar, MLC Kota Srinivas Poojary, Udupi MLA Raghupathi Bhat, Kundapur Legislator Halady Srinivas Shetty also protested in front of the Vidhana Saudha and handed over a letter of protest. 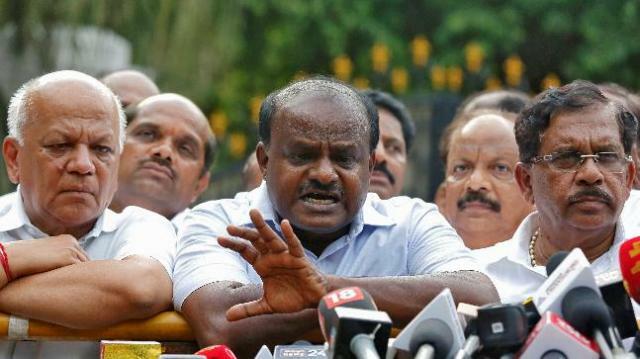 They felt the budget has nothing to offer for coastal Karnataka and have submitted a protest letter to the government as soon as the CM completed his budget presentation. The BJP MLAs alleged that the budget had much to offer for constituencies represented by JD(S) MLAs and nothing for the coastal districts. No scheme has been announced for Endosulfan victims or for the welfare of fishermen they alleged.